After a few pages in I thought I would struggle with this book as there were no chapters - how would I ever know when to stop reading? Well Vanessa Ronan has thought of that, the answer is simple - you won't stop reading! Although the story drew me in, I did find the writing a bit disjointed at times - I like to feel the rhythm of a book and this felt like a staccato - the shortest sentences ever are in this book, even sentences comprising one word. Once I got used to it, I did settle in but it was a bit of a bugbear at first. I've never really been a fan of poetry and maybe if I had been I would have found it easier to cope with the teeny sentences. There is so much tension bubbling under the surface that the lack of chapters (have I mentioned that?) 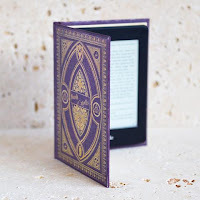 make just one more page an easy bargain to make. I started off wondering what Jasper had done and what he was in prison for, but that actually quickly went out of my head. Jasper made it quite clear that he was guilty of the crime he committed and it is the threat of the townspeople coming out for revenge that takes centre stage. You can feel the turmoil of his family as his sister, Lizzie, sees no alternative but to welcome Jasper into her home. Lizzie has two young daughters and as her youngest, Joanne, gets closer to Jasper I did wonder how safe she really was in his care. On the flip side, it was lovely to see the innocence and trusting nature of children, before they realise the world is big and bad. There is no doubt that Jasper is a damaged man. He may have paid for his crimes but he doesn't appear to have repented and I feared that, given the opportunity, he would do the same thing over again. For me, the reaction of the townspeople was portrayed flawlessly as the mob grew in support and strength, even enlisting the support of Jasper's own niece, Katie. You could feel Katie's inner struggle as she fights between the mistrust she has for her Uncle and her fear that she has put her mother and sister in danger. 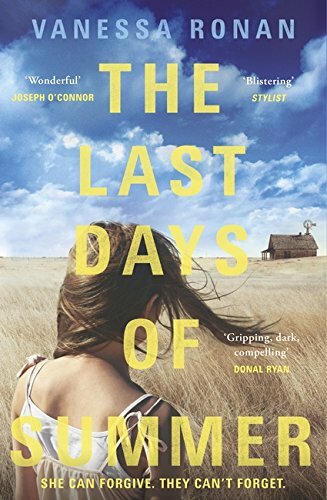 Really quite dark and disturbing at times, The Last Days of Summer leaves the reader questioning how they would react in the same situation. Blood is thicker than water but can you really forgive and forget?